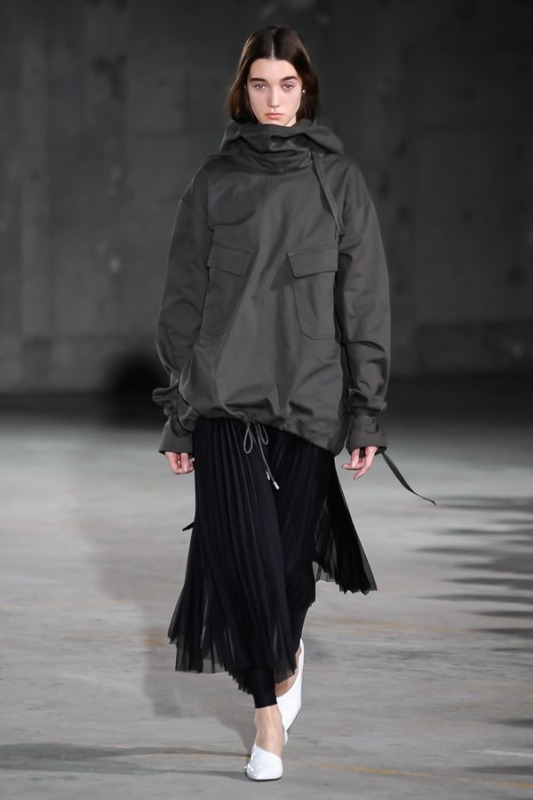 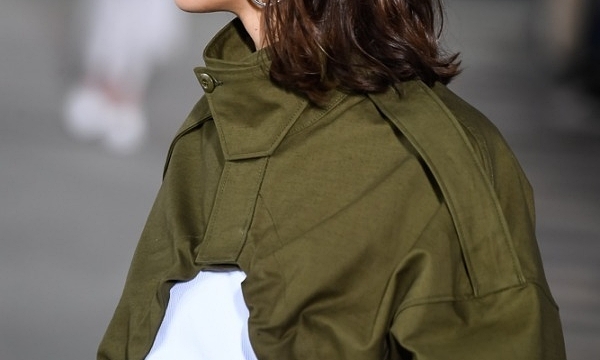 HYKE revealed an innovative collection of military inspired goods for Spring/Summer ‘19 during its latest runway show at Amazon Fashion Week in Tokyo. 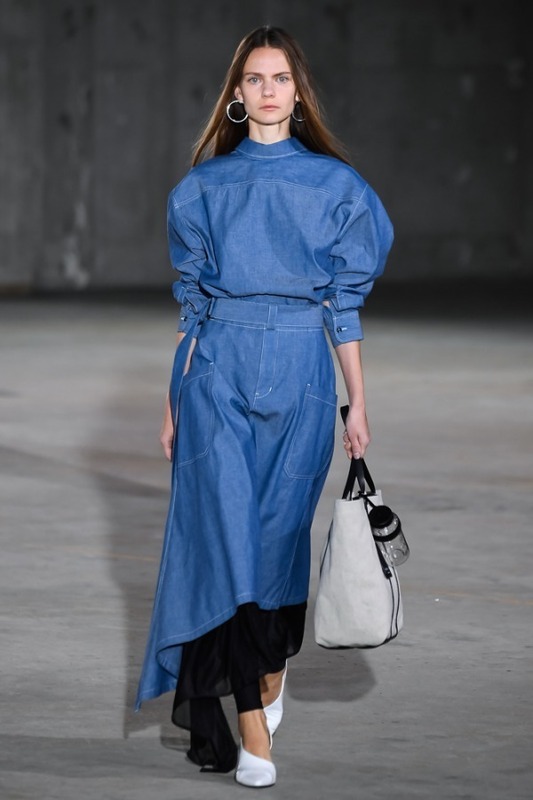 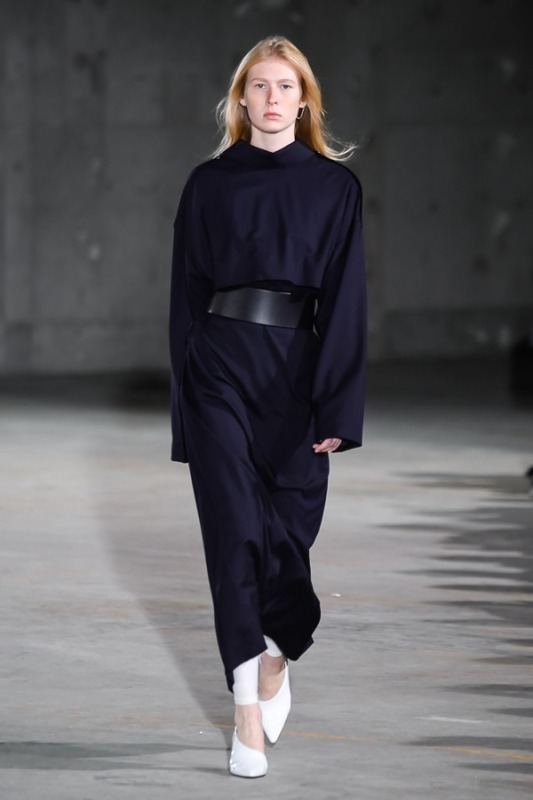 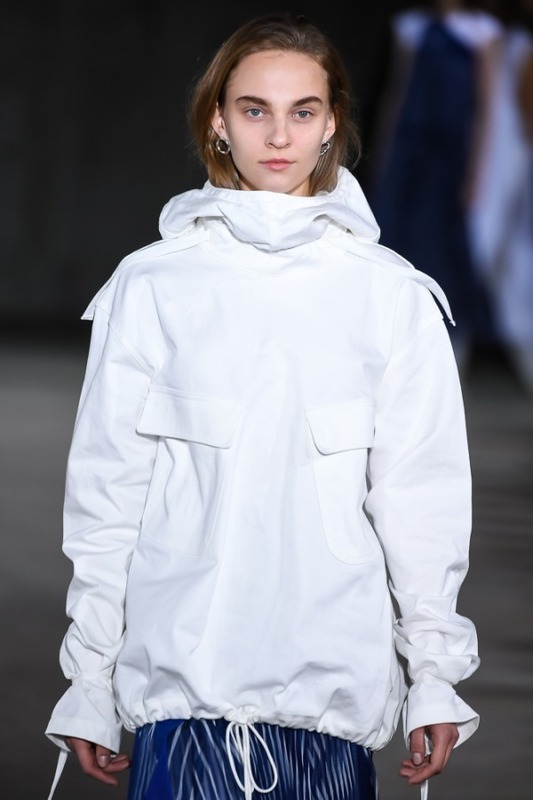 Changing the location from its usual venue, the new concrete surroundings beautifully complemented the latest pieces from Hideaki Yoshihara and Yukiko Ode. 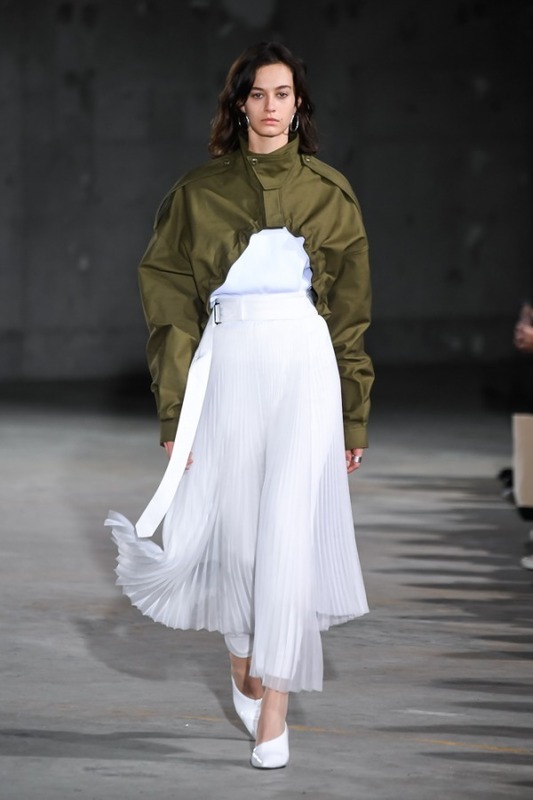 The new Spring/Summer range is a fine mix of reconstructed military pieces made to blend seamlessly together with more feminine garments such as dresses, wide cut trousers, tailored tops and more. 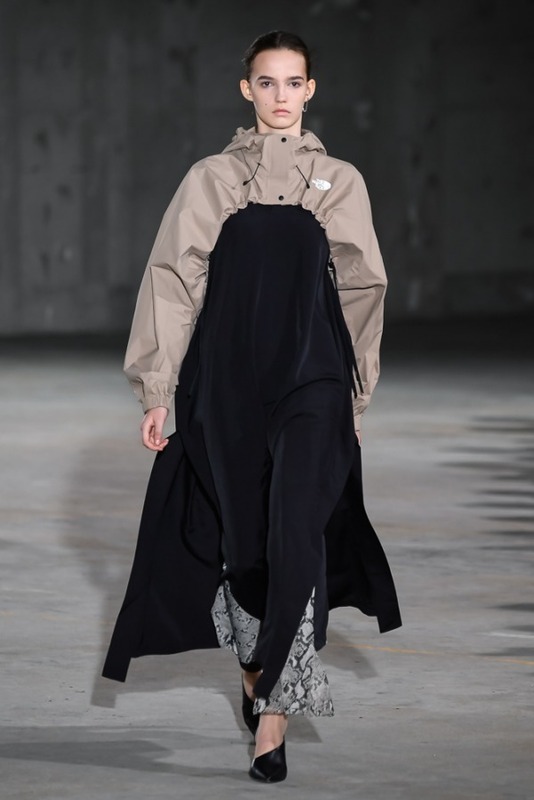 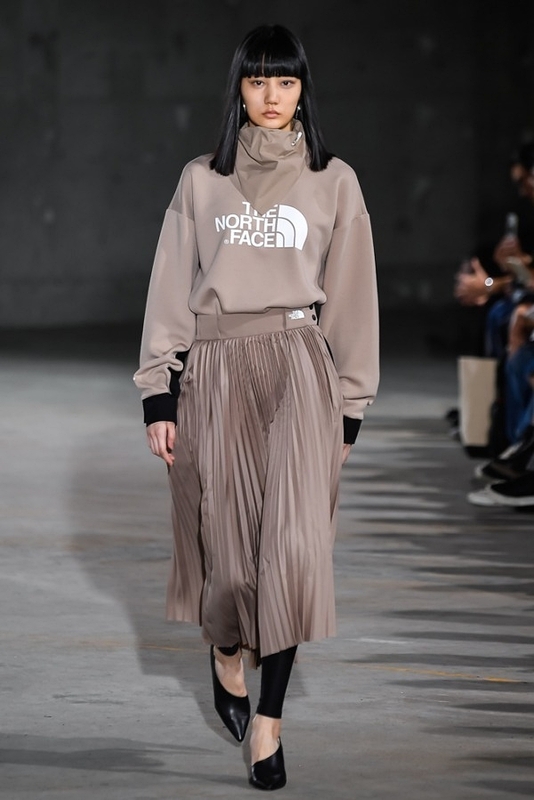 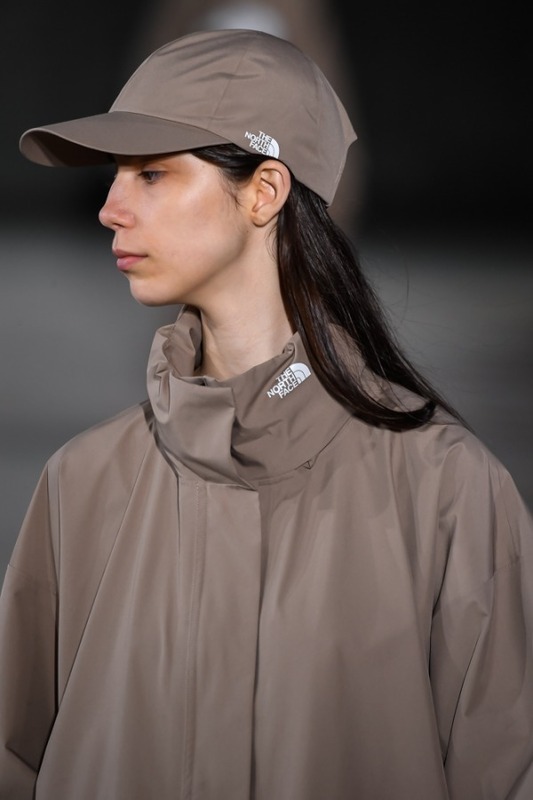 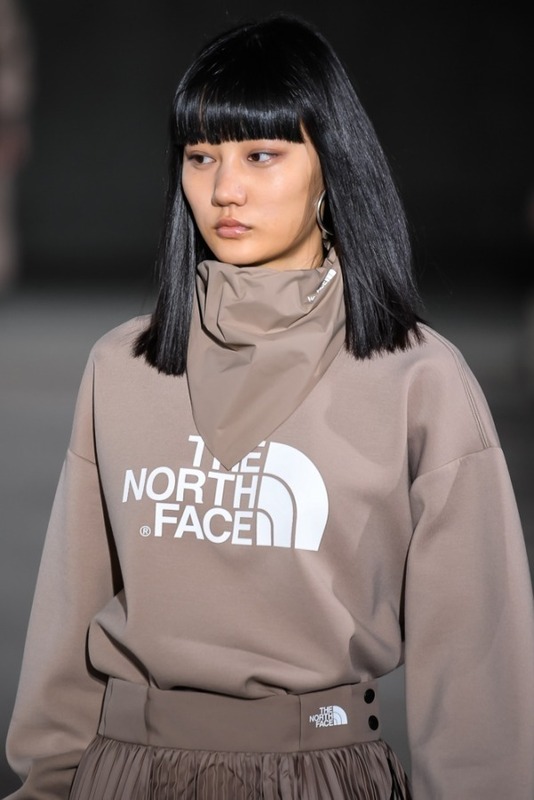 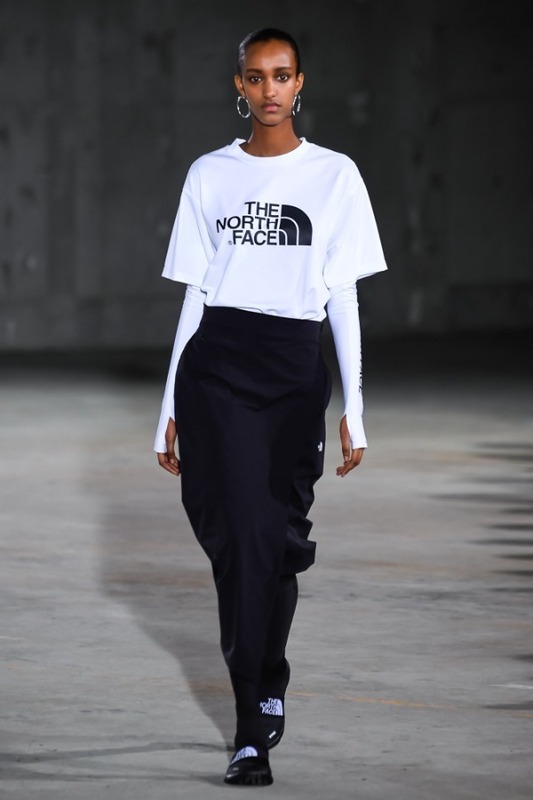 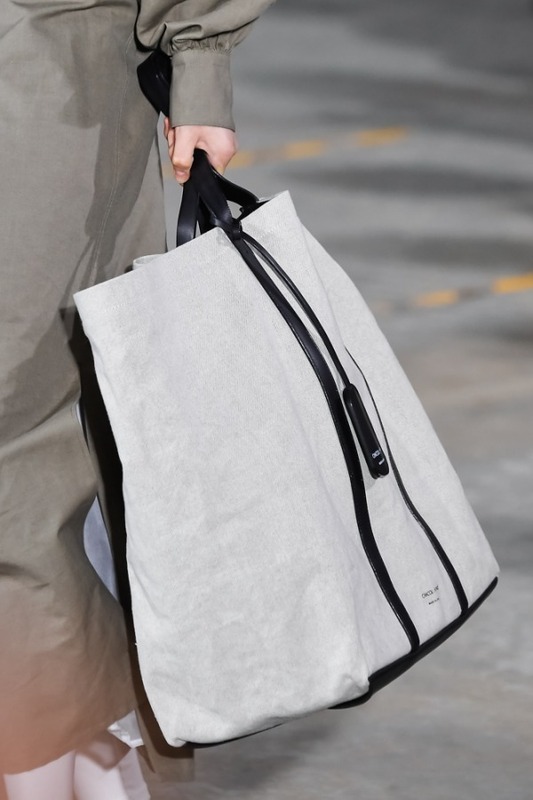 The label also presented its third collaborative collection with The North Face that has shown to be a truly successful endeavour with pieces selling out instantly upon its release. 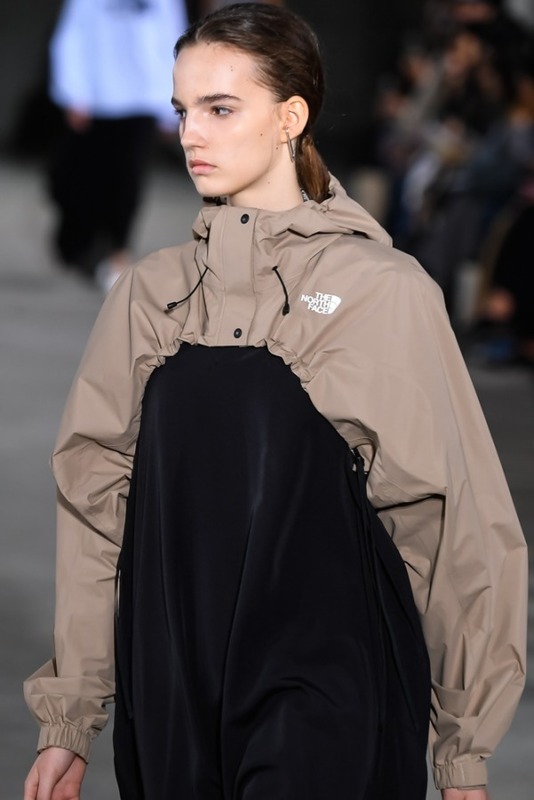 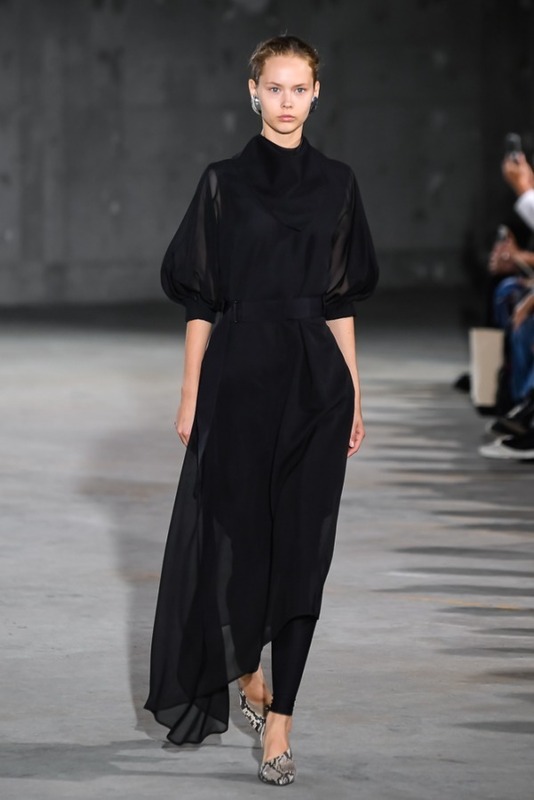 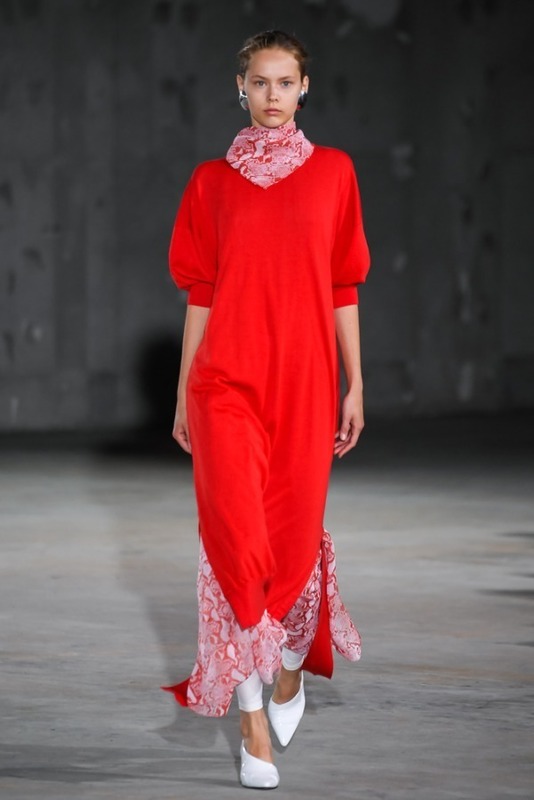 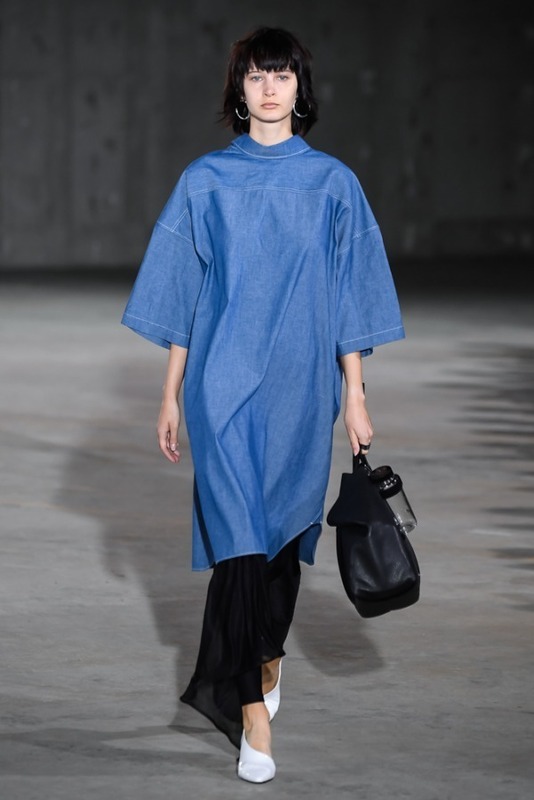 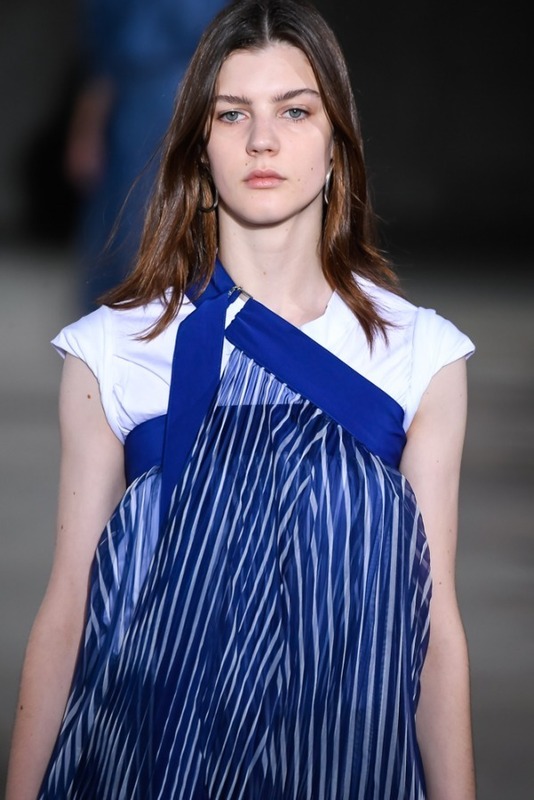 This season the lineup includes light outerwear staples such as parkas, pullovers and ponchos as well as skirts, hats, shoes and neck gaiters among other things.